List of the latest Peruvian movies in 2019 and the best Peruvian movies of 2018 & the 2010's. Top Peruvian movies to watch on Netflix, Hulu, Amazon Prime & other Streaming services, out on DVD/Blu-ray or in cinema's right now. 2018, 2017 and the 2010's best rated Peruvian movies out on DVD, Bluray or streaming on VOD (Netflix, Amazon Prime, Hulu & More). 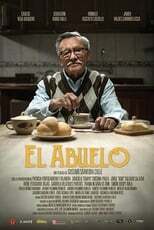 It is not often you hear something from Peru when it comes to movies. But that doesn’t mean there is nothing going on over there. Here are a few interesting movies.